Home / All Posts / Why Should Outsource Search Engine Optimization Work? The success of a business is achieved with more than just pennies and thoughts in this internet era. If your business is not an SEO company, then you can be sure that there is someone else who is running a better SEO campaign and you should outsource search engine optimization. SEO business solely focuses on getting high rankings on a daily basis. Their jobs are to make sure your product seems the best and the only thing to purchase. You could do own SEO, but let’s face it, not everyone can multitask to that level. Outsourcing saves a lot of time and money and lets you focus on one thing you know best – running your business. Keywords that draws the hit in the search engines are integral and must be updated according to the latest trends and targeting the customer base. Keywords that are to be incorporated in the content of the web page need a thorough analysis to put your business on the map, so to say. Time is definitely of the essence when you are running a business especially if you are a novice. There are different aspects one needs to pay attention to, and SEO should be your least worry. It requires a dedicated team to focus on the different rules search engines change regularly. 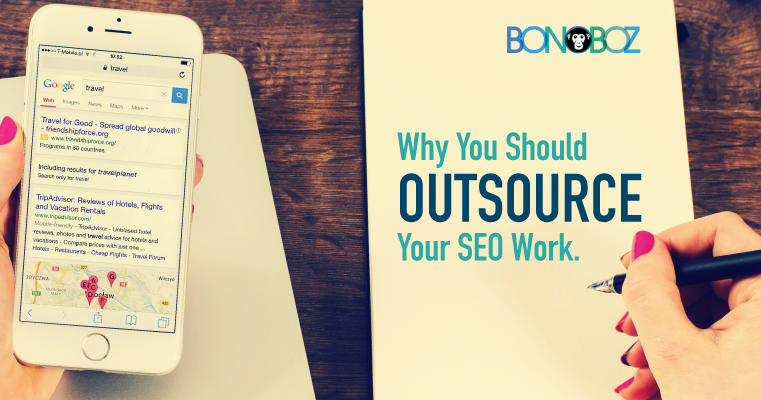 Outsourcing SEO gives you time to focus on your current projects better and maybe look for an additional income on the side? SEO companies can offer many services apart from improving your website. They have access to portals, websites, and blogs that can be approached to project your business in the internet space. Posting on credible sources like the Times or the Huffington Post can get you the right kind of attention to taking your business to the next level. It is stressful when you are chasing a moving target like optimizing to a search engine. It involves regular and detailed analysis that can be very daunting to a business owner. You could lose sleep thinking about how many clicks you got or what links stuck, and this could mean you do not having a clear mind to concentrate on the primary business. When you outsource SEO services, you only need to read and understand the reports to know the progress and always be aware rather than wondering whether you did everything right. Look for companies that address website improvement especially search engine rank and position and also that targets website optimization for different languages. An efficient SEO company should have worked on different projects of various prices, that is, it should possess the tools to optimize web pages to quality between 1 and 1000. Expert advice and customer relations must be an important factor to get updates regularly and to be able to rely on the company in general. SEO optimization is an extended version of advertising, but that does not mean it can burn a hole in your pocket. They have to offer competitive prices when compared to traditional ways like classifieds or PPC. When you hire the best SEO outsourcing company, you are enabling yourself to devote your entire time and resources towards steering your business into a success. Minimal research and depending on just yourself to win yourself the online presence in the vast internet space is a long and tedious process, and it may take ages before you see positive results. Let your worry be someone else’s.